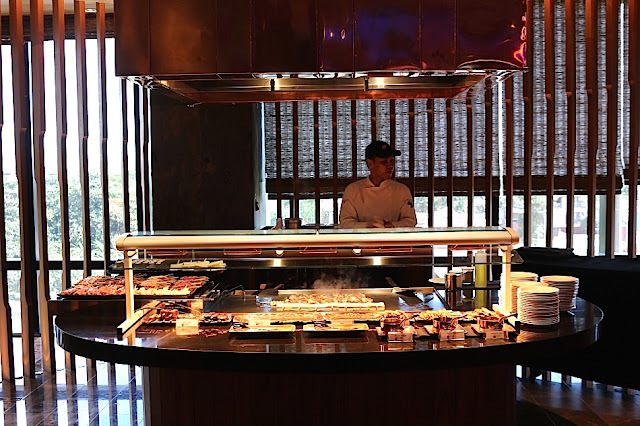 CITY OF DREAMS MANILA: NOBU and its Buffet. It never ceases to amaze me. 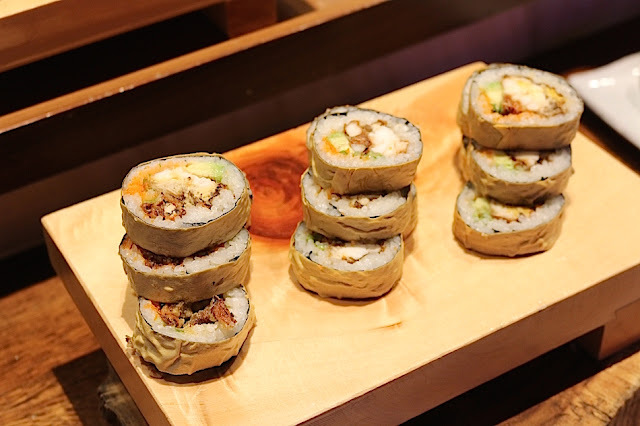 Simple and straightforward as it seems, the NOBU BUFFET is one of the best Japanese Buffet in the metro. 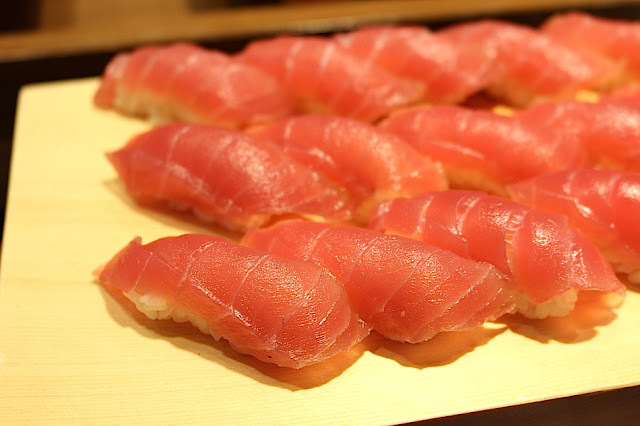 Guests are greeted by a long line of fresh sashimi and sushi rolls to delight even the pickiest eater. 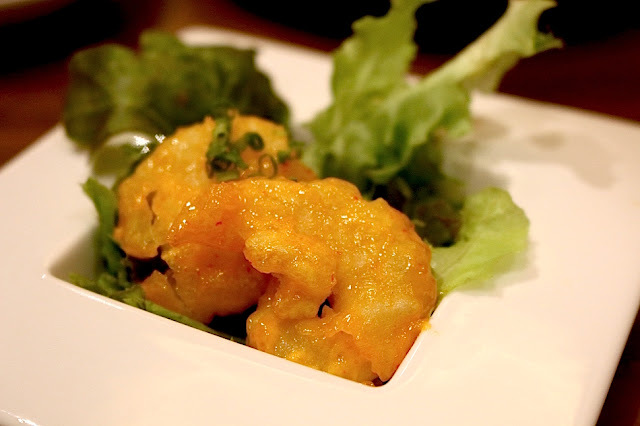 Aside from the delicious Japanese pancake, soup and sea bass dishes, guests are treated with pass around plates like this amazing shrimp popper. Properly coated and marinated, these crunchy shrimps are delightful. A couple more stations that needs a lot of attention from patrons would be the grilling and the carving station. 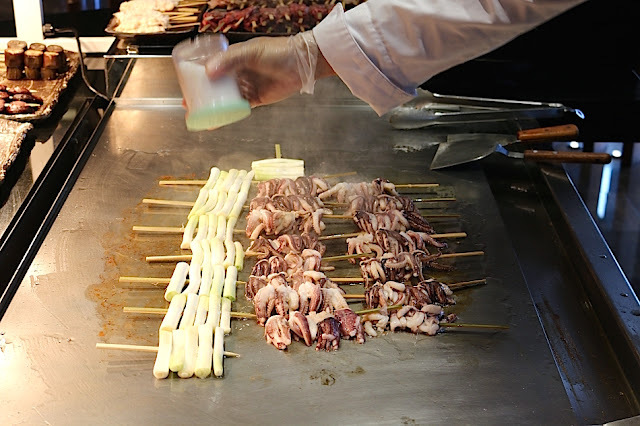 Freshly cooked, selection of seafood, vegetables and meat are prepared in a simple manner. Sauces are made exclusively for these sticks. Be ready to mix and match so that you're able to maximize the dishes' flavorful profile. 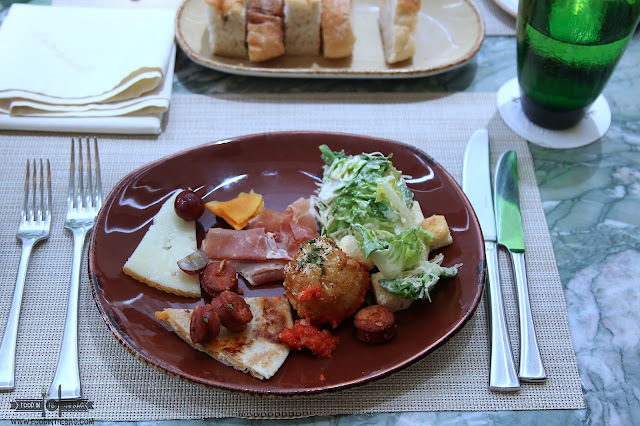 Another must visit area of the buffet would be the carving station. 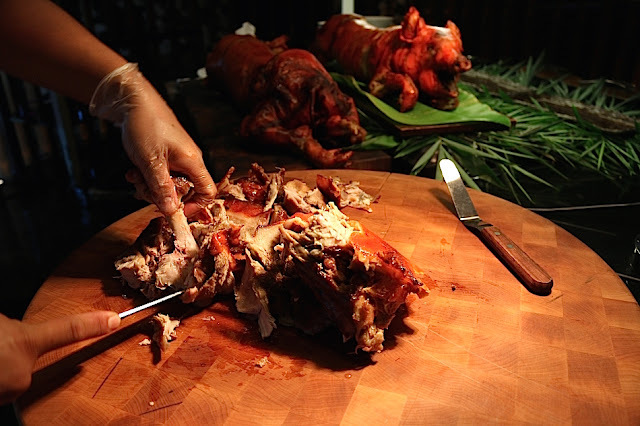 TO give NOBU a bit of Filipino flair, they chose to serve their in house lechon or roasted pig. Diners are asked which part of the meat they would love. The crunchy skin are aplenty and the insides are moist and tender. Dessert is an important part of the meal. In NOBU, they take care of this properly. 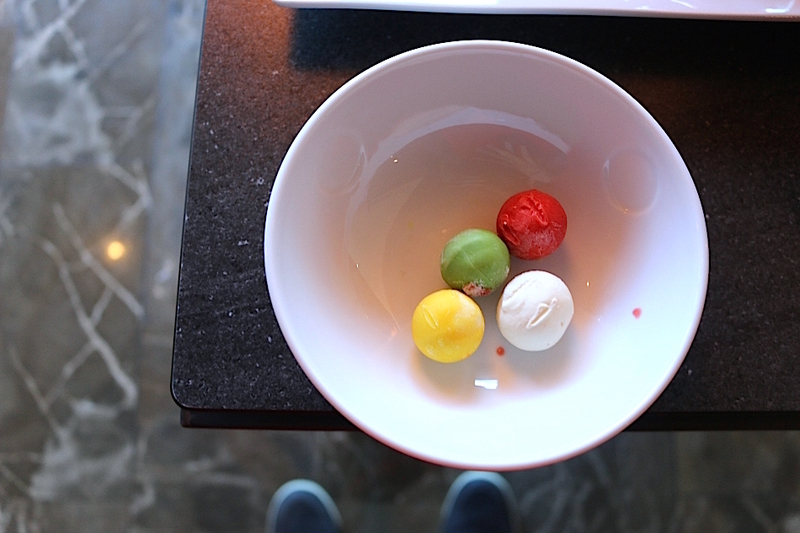 Aside from cakes and other pastries, they specialize in creating their own ice cream blends. 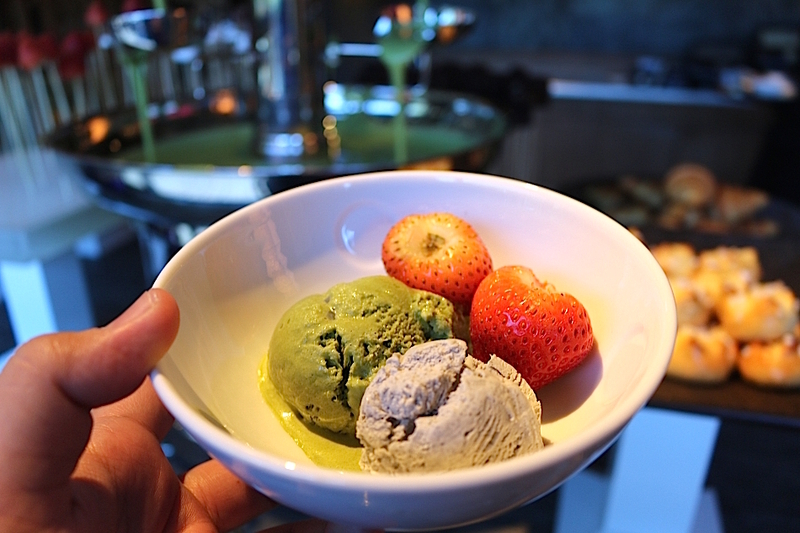 From different flavors to even truffle parfait, guests are assured of variety. 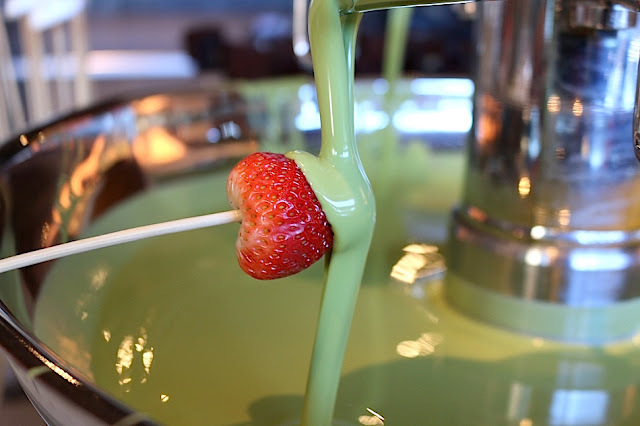 The most luxurious dessert would have to be the matcha fountain. Decadent and indulgent, you could pick from different fruits to dip into this concoction. Admittedly, the NOBU buffet isn't as big as it's competitors. 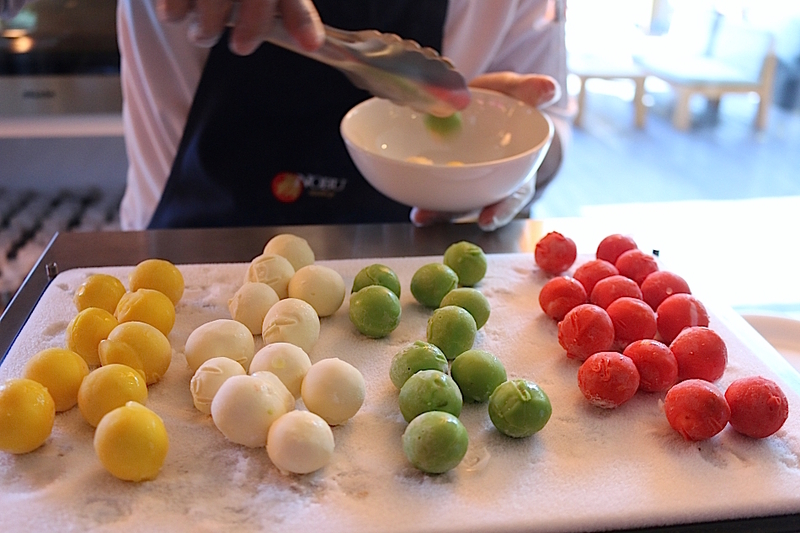 What they lack in quantity, they make up in quality and the flavors of each dish they produce.